I started juicing fruit and veggies just over a month ago with my Omega J8006 Nutrition Center Commercial Masticating Juicer, Black and Chrome . When you juice fruits and vegetables in this type of juicer you end up with a substantial amount of vegetable and fruit pulp. 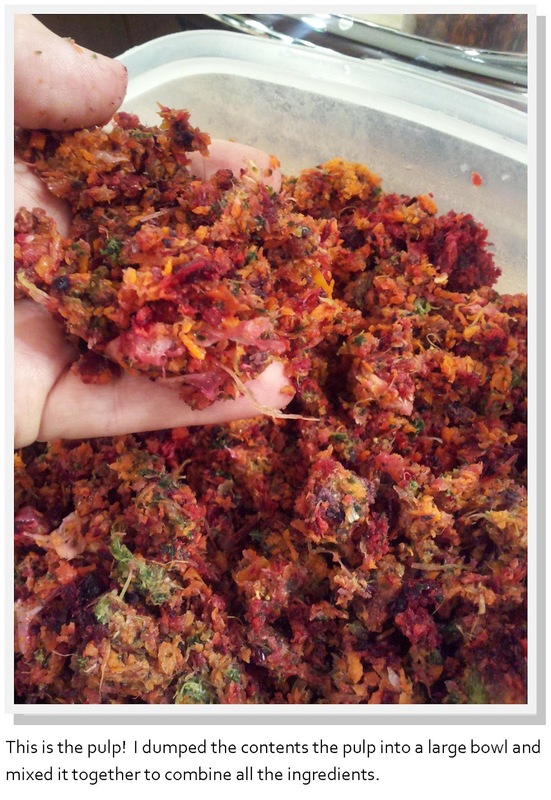 Up until today I had been saving the pulp and putting it in my Soilsaver Classic Composter And though this is going to make for amazing compost, I have been feeling like something more could be done with this pulp than just tossing all of it to the composter. 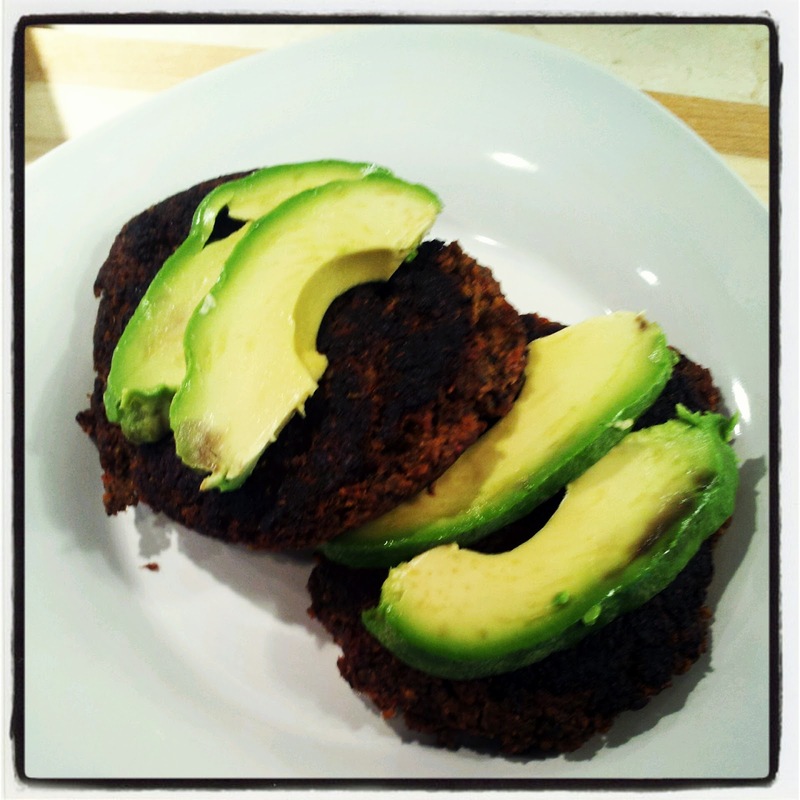 So I decided today to experiement with making veggie burgers and this is what I came up with and they tasted great. Better than any store bought veggie burger I have ever had. 2 cups (+/-) crushed gluten free rice chex (you could also use bread crumbs or crackers) The amount will vary depending on the consistency of the pulp and how moist it is. - heat up frying pan over med heat with olive oil and cook until crunchy brown on each side. Makes about 8-10 burgers ~Serve with sliced avocado and enjoy! 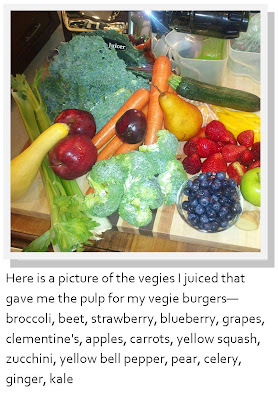 Thank you Breanna....they are so yummy and such a good use for the juicing pulp. I like them cooked so they are cooked so they are a bit crunchy on the outside. Enjoy and let me know how yours turn out! And happy Juicing! Awesome! Can't wait to try this!! THank you for posting! you are most welcome, Enjoy! Extraordinary post here you have made. Simply made these interestingly. They were heavenly! I browned them in a skillet with somewhat olive oil. I was concerned on the grounds that they were delicate. Singed them for a decent extended period of time until they were dim and firm. Within was still delicate. It's an attendant formula! Thank you so much...they are delicious!